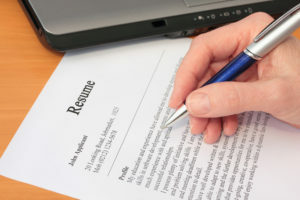 Your resume is still a vital component to getting you the interview to the job of your dreams. It’s one of the first impressions that a hiring manager will have when you apply to a new job or position, and one of the biggest determinants about whether or not you will get called for an interview. While you can upgrade your education and get more work experience, these things take time. So what’s the easiest way to improve your resume in the least amount of time? The answer is good proofreading. You want your resume to accurately describe who you are as a professional. Because of this, you will want your resume to be completely free of errors. When you’re finished writing your resume, your first step should be to run it through an online spelling and grammar checker. You can find a basic program easily enough, and the good news is that you can often use the basic versions for free. While an online checker can’t find problems in style, it can detect the major issues in grammar and spelling. When you’ve looked over a document dozens of times, you can become desensitized to it. A second set of eyes always helps you catch mistakes. Give your resume to a friend or a family member to look over and ask for an opinion on the style and layout. It will cost you money, but you only need to do this once. Hire an editor with experience editing resumes. Resumes, like other pieces of writing, experience trends, and a pro will know what’s in and out and what works and what doesn’t. You can find an editor online or get a referral at a job search center. If your resume includes addresses and phone numbers (either your own or places that you have worked in the past), make sure they are correct, so that employers or people calling you for interviews won’t have problems checking up on information. Leaving a document alone for a while, doing something else and then coming back to it later, will give you a fresher set of eyes. It’s just like getting a second opinion. Try to leave an hour or so at least before giving it a second look. Sometimes, your eyes just don’t catch the mistakes. If you are an auditory learner, or if you want to double check your work, reading your resume out loud can help you identify problems with sentence structure and wording.